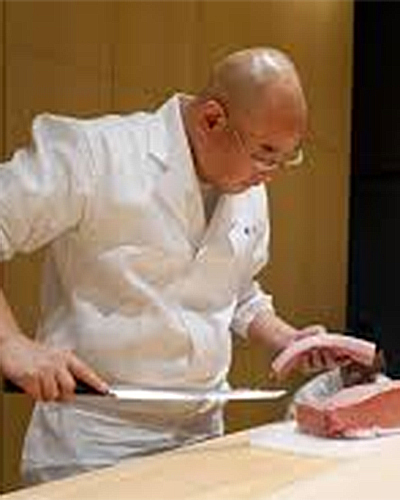 It isn’t often that one of the world’s top sushi chefs decides to close up shop in Tokyo and move to another city. 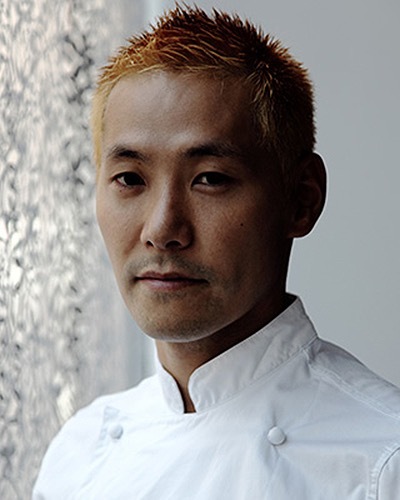 But after Mitsuhiro Araki’s daughter decided to attend boarding school in the United Kingdom, the decision to move his restaurant to London was easy. A major difference between the Tokyo and London locations is that Mitsuhiro does not have access to the treasures that can be found at Tokyo’s Tsukiji Market. Rather, he relies exclusively on a catch that comes from European waters, with the occasional fish sourced from North America. The service and hospitality are both lovely, and the non-sushi dishes are served on beautiful antique Japanese ceramics. But diners beware: This is one of the most expensive restaurants in London, rivaling what a very top sushi experience would charge in Japan. 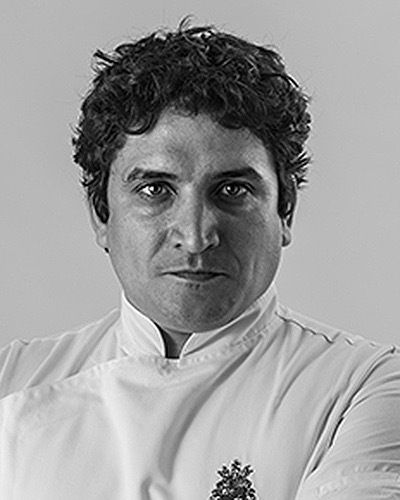 Argentine-born Mauro Colagreco, who once plied his trade in the kitchen of L'Arpège, brings an original culinary style to some of the Mediterranean's best ingredients and creates dishes like local zucchini in its own broth. His restaurant, set on the Moyenne Corniche in Menton, and just a stone's throw from the Italian border, offers spectacular views of the Mediterranean coastline. The town of Wolfsburg, an hour west of Berlin by hi-speed train, is dominated by the Volkswagen Stadt. The Volkswagen company has ponied up money for all types of things, ranging from a top notch soccer stadium to a wonderfully appointed Ritz-Carlton Hotel (designed by Andre Putnam) that hosts a restaurant that houses this wonderful restaurant Given the unusual setting (the dining room faces a museum with cars on display), [Sven] Elverfeld has also taken a diverse approach so that his cuisine appeals to a varied clientele. So it is not uncommon for you dinner to range from original takes on German dishes (like his playful simmered corned beef from Müritz lamb, Frankfurt-style green sauce, potato and egg), to more internationally styled dishes like Pigeon from the Vendée with Périgord truffle, spinach, bacon, mushrooms and pigeon essence. 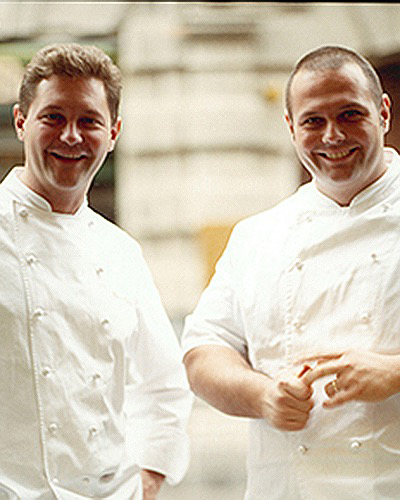 It was back in the spring of 2015 when the chefs at three of Paris’s top dining locations decided to play musical chairs. 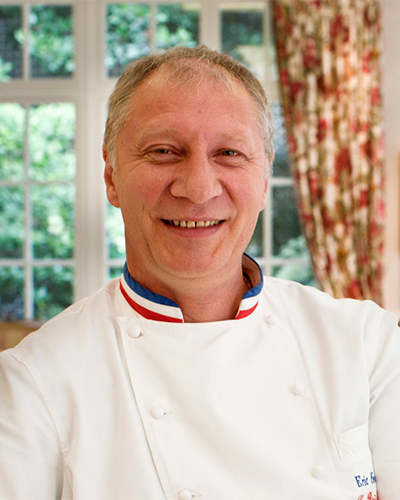 Alain Ducasse took over the reins of the restaurant at Le Meurice, while Christian Le Squer abandoned his long-held position at Ledoyen for the safe harbor of Le Cinq. 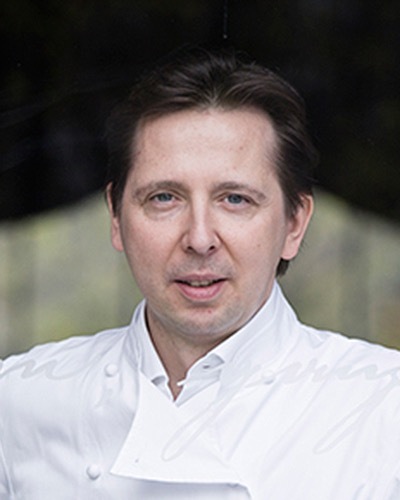 The final piece of the puzzle was Yannick Alléno, who after ten years at the helm of Le Meurice, took over the kitchen responsibilities at Ledoyen. Alléno brought his cuisine des terroirs, a technique that is intended to maximize flavor in sauces while keeping them completely natural and that can be found in dishes such as eel with a sauce of beets, acidulated onions and a watercress coulis. 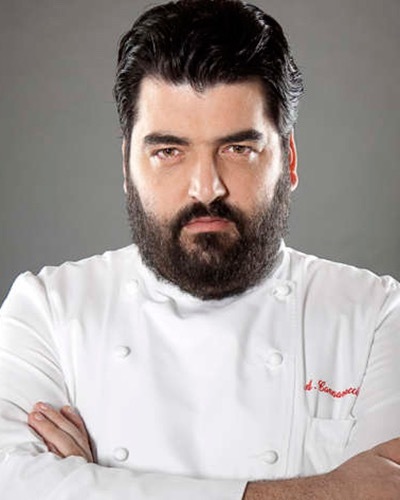 One of the founders of the molecular gastronomy movement and a sensation during the cuisine's heyday, Martín Berasategui continues to attract international diners from all over the world to this restaurant, located in a suburb a mere 10-minute taxi ride from San Sebastian. The menu ranges from modern creations like vegetable hearts salad with seafood, cream of lettuce and iodized juice to more traditional fare like kokotxas in pil-pil sauce. 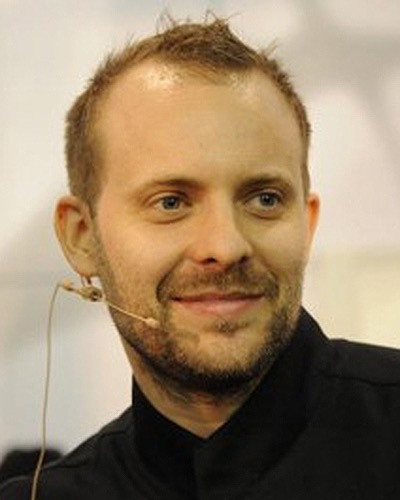 Famous as a mad scientist during the molecular gastronomy era, Davide Scabin still serves some of the most cutting-edge cuisine in the world despite going natural a few years back. A trip to his restaurant, located in a modern art museum on the outskirts of Turin (the museum is open late, so you can enjoy the collection before dinner), remains one of the most compelling dining experiences in Europe. 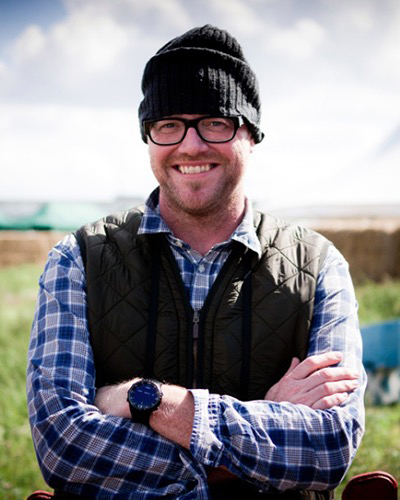 Blogger turned chef Mikael Jonnson sources some of the best ingredients in the U.K. - fish straight from the docks in Poole, grass-fed Irish beef that has been hung for 60 days, AOC onions imported from France - and prepares them with a level of love and respect you don't see in many contemporary restaurants. Extremely popular with OAD reviewers, who are focused on eating the best possible products; some reviewers have visited the restaurant in excess of 50 times. Jin is the vision of Nina Nikkhou, who grew up in Tokyo as the daughter of an American father and a Japanese mother; she left Japan first for Duke University and then for Paris, which became her adopted home. She brought in Sapporo native chef Takuya Watanabe, and he and Paris-based architect Jun Yonekawa have created an experience that is as authentic as it gets. Tasty, tasty. Passion comes in many forms. For Shinichi Sato, it meant being so moved by a meal at Astrance that he went back to the kitchen afterward and asked Pascal Barbot for a job. 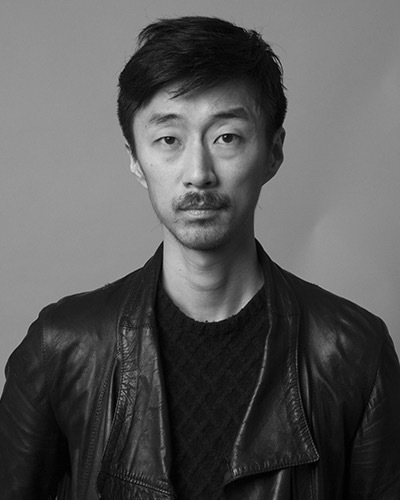 After doing a two-year stint at the restaurant, Sato left the safe confines of the 16th arrondissement for Spain, accepting a job at Adoni Aduriz’s kitchen at Mugaritz. Enter old friend Guillaume Geudj, who invited Sato to be the chef at a place he was opening in one of the oldest arcades in Paris. Now the two operate this award-winning, 20- seat restaurant that is so tiny the kitchen is located on the second floor. As expected, reviewers rave about “cuisine and service that are exceptional” and a tasting menu that is “all hits and no misses.” The interior, recently renovated, is an exercise in white; except for the black chairs, almost everything else in the restaurant, including the art on the walls, is white. Heinz Reitbauer is well-known for serving a fine brand of haute cuisine laced with Austrian touches at this lovely restaurant in the middle of Vienna's Stadpark. Many of the ingredients that Reitbaur uses in his kitchen are grown on his family's farm, located outside of the city. They end up in dishes such as char with beeswax, yellow carrot "pollen" and sour cream and pike from Lake Attersee served with salted lemon, cauliflower and macadamia nuts. 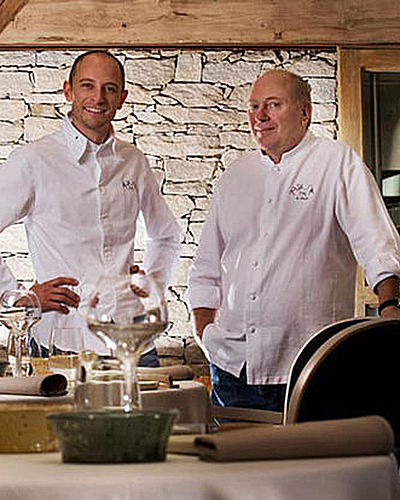 As we predicted after seeing the results of last year's survey, Niko Romito's restaurant has entered the Top 100 list, shooting up 50 places from a position of 118 in our 2014 edition. it’sThis is an even greater accomplishment when you consider the restaurant location in the Abruzzo, a region that doesn’t attract many tourists. Hopefully, it’s a trend that will continue; the restaurant is a mere 90-minute drive into the mountains from Naples. 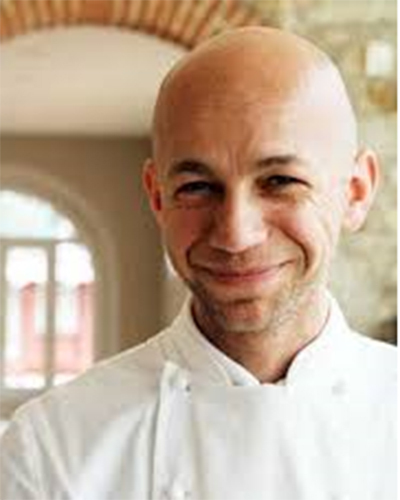 Born in Germany and trained in Heinz Winkler's kitchen, Heinz Beck serves some of the haute-est Italian cooking in Italy. The wine cellar holds 53,000 bottles, and the water service includes a staggering 29 types of bottled water. If that isn't enough for you, the location on the top floor of the Cavalieri Hotel means you get to enjoy stunning views of Rome while enjoying dishes like creamed artichoke soup with steamed scampi and a fillet of turbot on a “caponata” purée. 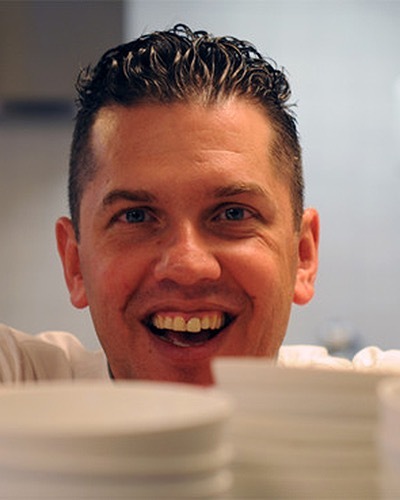 Though Jacob Jan Boerma and Kim Veldman opened this place in 2002, it wasn’t until 2013 that the international dining community began to take notice of the restaurant. The menu is a mix of ingredients, like the French-sourced Gillardeau oysters prepared two ways – in a tartare with Bellota ham and warm with potato and leek – and Dutch beef with mustard and winter truffle. 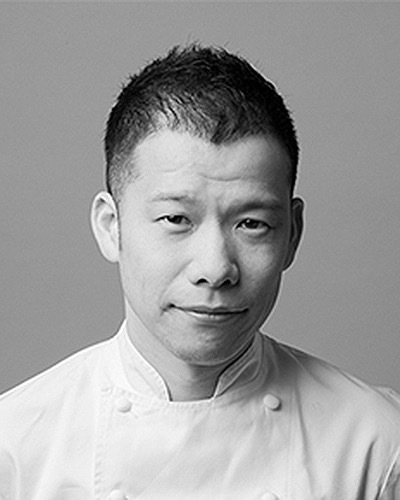 After seven years working in Alain Ducasse's kitchen, Kei Kobayashi took over Gerard Besson's old restaurant in Paris' 1st arrondissement. It was a move that started what has become a veritable flood of Japanese chefs opening restaurants in the city. Given his background, Kei's cooking leans toward the classical side and includes dishes like salmon with a bitter sorrel cream. Reviewers have taken note of this restaurant's relocation, saying that "one of Belgium's most talented chefs has moved to a classy and beautiful space." 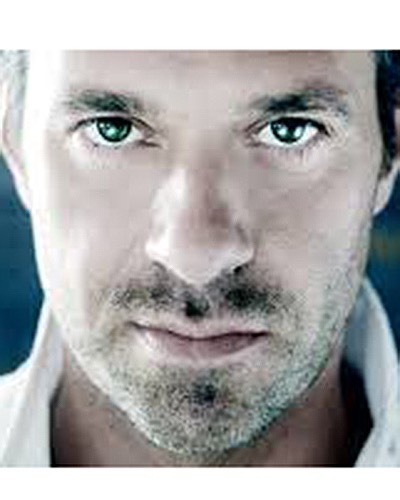 Christophe Hardiquest is seen as "a perfectionist" whose preparations like line-caught sea bass cooked on rock oysters demonstrate the work of someone who has "an almost maniacal attention to detail." David Toutain is a whiz kid. 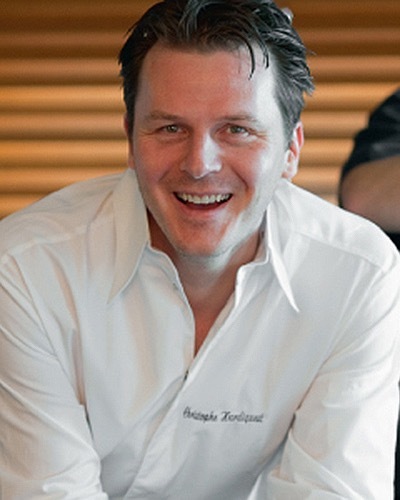 After working with Paul Liebrandt in New York City, he took the reins at Agape Substance and caused a sensation among the dining community. Eighteen months later, he decided to go out on his own, eventually opening this comfortable restaurant on the Rue Surcouf. 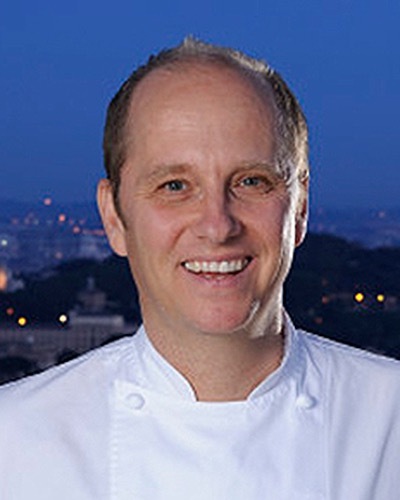 While David's cooking is now somewhat more conservative than it was at Agape Substance, he still garnered enough support to make the 2015 list. Can you imagine what he can accomplish once he lets loose? The skillful contemporary cooking served here, which features dishes like young vegetables with Beaufort cream and spring truffles, and native lobster with tomato butter and basil, is tinged with a modernist edge, and it has many diners calling this the best dining room in London. 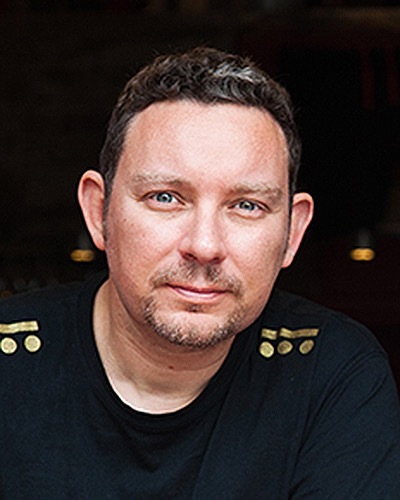 The high level of buzz being generated by its chef, Australian-born Brett Graham, signals that the restaurant has the potential to climb even higher in the culinary rankings. If this wonderful restaurant wasn’t located in the very southwestern corner of France, closer to the Spanish border than it is to Marseille, more people would be raving about its food. 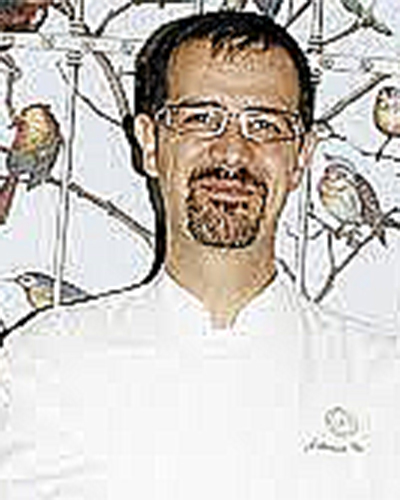 A protégé of Roger Vergé’s kitchen at the legendary Moulin de Mougins, Goujon creates meals that include fabulous old-school French cooking, like egg whites stuffed with truffle purée and buried under a mushroom and artichoke sabayon that Gilles tops with shaved black truffles, or a contemporary version of beef: gorgeous cuts of Rubia Gallega from Spain sliced and served a la mode du Espagne, natural and without drowning them in a heavy sauce. There’s a lovely wine list, and the service is charming. A great place for people who really love to eat. Along with Relae, this restaurant from Nicolai Nørregaard, Rasmus Kofoed and Magnus Hoegh Kofoed has firmly established itself among the top tier of the second generation of New Nordic restaurants. Inspired by the cuisine they grew up eating during their youth in Bornholm (a Danish island located just off the southern coast of Sweden), the restaurant offers a number of dishes featuring ingredients that the trio source from the island, like potatoes with cream of sea urchin and pickled cucumber and Danish squid served with pickled and fermented onions, elderflower, shrimps and tomato juice. Few restaurants have dual personalities, yet Antonino Cannavacciuolo's manages to accomplish that feat. How does Antonino do it? Well, he mixes dishes from his native Napoli (like linguine from Gragnano with baby squid and rye bread sauce) with those of his adopted Piedmont (Plin "Genovese," with Piemontese beef tartare and creamy parmesan foam). The restaurant is in a spectacular villa on the shores of Lake Orta, a setting that holds its own against the food. 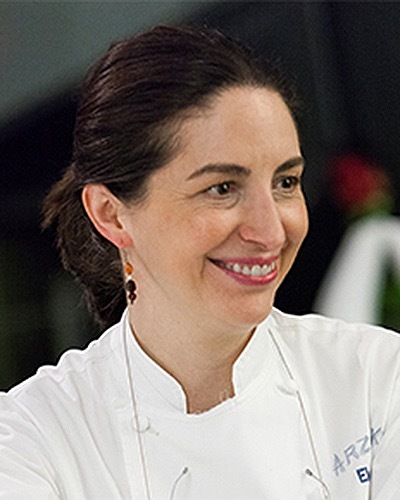 Mixing brand-new creations with dishes that date back to her father's tenure as chef, the effervescent Elena Arzak has maintained her family's legacy while bringing this classic Basque house into the twenty-first century with dishes like asparagus in colors and egg with earthquake. The wine cellar is an absolute delight for oenophiles who love vintage Rioja. 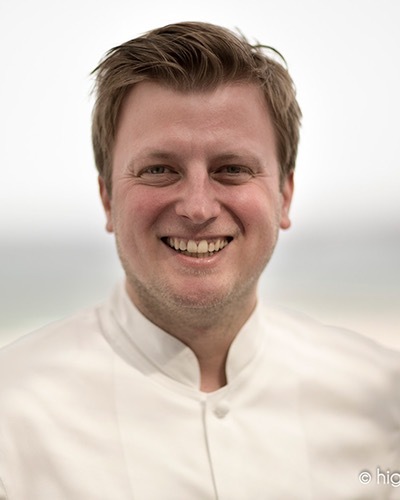 Set in a remote location at the tip of Zeeland province, Edwin Vinke’s place utilizes the wonderful fish and seafood that are swimming less than a hundred meters from his restaurant to create dishes like a combination of turbot and local shellfish with seaweed and briny vegetables. 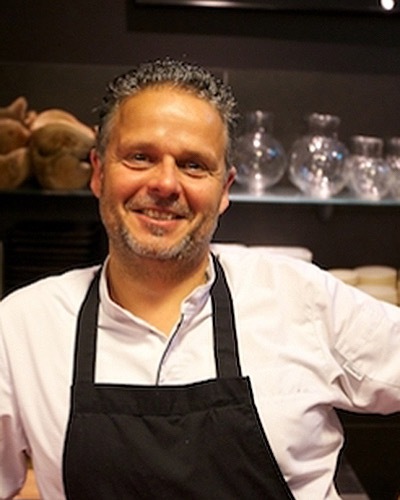 Those who are longing to enjoy Sergio Herman’s cooking should book a table at this restaurant in Cadzand, a short drive away from the now-shuttered Oud Sluis. 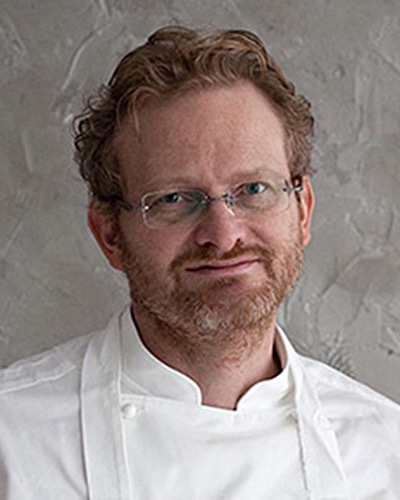 Herman has installed Syrco Bakker in the kitchen, where he does a terrific job of continuing Herman’s legacy in dishes like gambas served cooked and in a tartare, sea eel from Oosterschelde wrapped in nori and served in a green sauce, and some exceptional filets of North Sea sole poached in butter. An additional bonus is a lovely setting on the third floor of a hotel that overlooks the North Sea. 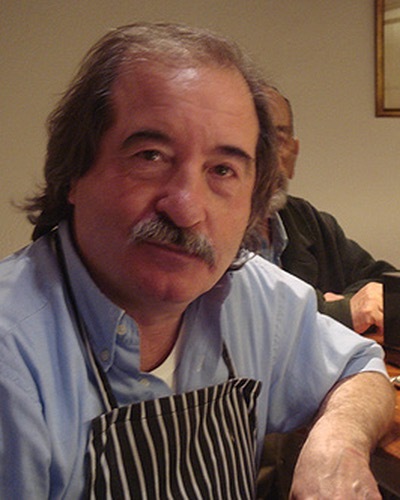 Given that all the restaurants on the Amalfi Coast have access to amazingly high-quality fish and seafood, Alfonso Iaccarino needed something to set his restaurant apart. 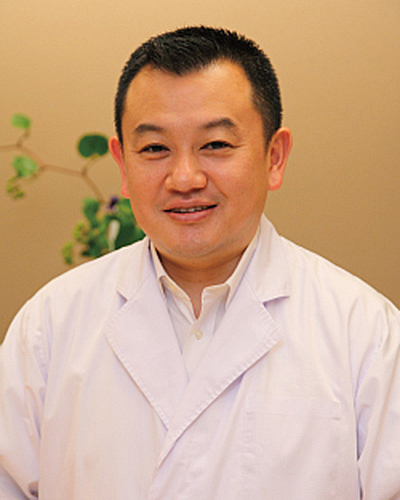 He decided the pathway to success lay in growing as many of his own ingredients as possible. So long before it was fashionable for a restaurant to have their own farm, Alfonso was operating Le Peracciole, a six-hectare plot of land where the only thing that could rival the quality of the fruits and vegetables it produced were the perfect views it offered of the Isles of Capri and Ischia. Given that the ingredients Alfonso served his customers have that pedigree, no wonder one of our reviewers described the tomatoes he ate as “the best I ever tasted.” Now, along with the “elegant cuisine” and “stellar wine list,” the Iaccarino family has added a hotel to the mix, which means that after dinner one can retire without the thirty-minute drive to towns like Sorrento or Positano. After typical meals consisting of sausages, vegetable soup, sautéed mushrooms, grilled squid, hake cheeks with clams or pork in a curry sauce, reviewers tell us this asador located in the old town of San Sebastian can be mentioned in the same breath as places like Elkano and Etxebarri. At easily the most humble restaurant that has ever made our Top 100 list, they serve lunch only and are picky about who they will give a reservation to. 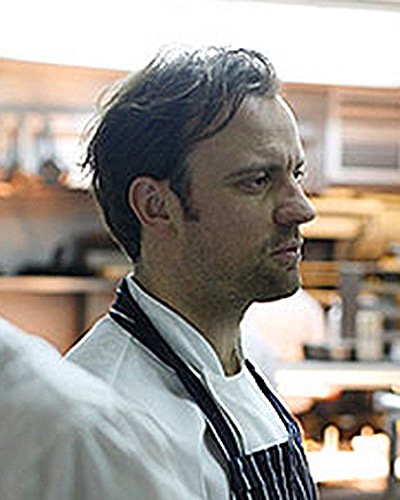 It is difficult enough for a chef to earn a single spot on one of our annual lists. 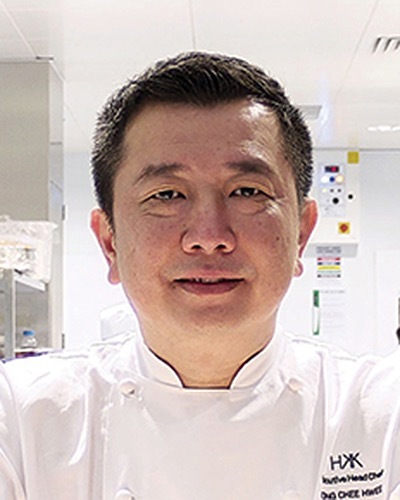 But Chef Toru Okuda has accomplished the feat of placing a restaurant on both our list of 2016 Top 50 Japanese Restaurants and our Top 100+ European Restaurants. Diners who have experience enjoying this style of dining in Japan will recognize that Okuda adheres to the strict rotations that are common in a classic kaiseki meal with an eight-course menu that includes dishes ranging from a bento box of snacks, to start, to a crustacean-based soup and seasonal fish and meats that are either steamed, sautéed or grilled over charcoal. It’s about as Zen a dining experience as you can find, a breath of fresh air in an era when some restaurant owners blare thumping dance music into their dining rooms. 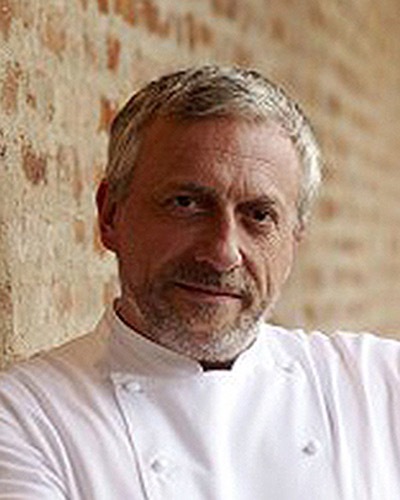 This restaurant from Chef Riccardo C amanini, set along the banks of idyllic Lake Garda, has quickly become the darling on the Italian fine-dining scene. Camanini’s neo-classic cuisine has been described as “a search to revisit and update classic dishes” that is “rich in ideas and creativity.” A multi-course extravaganza at the restaurant will include offerings such as the chef’s signature dish, spaghetti with butter and dried yeast, risotto with lemon pollen and fermented garlic and eggplant that is roasted and then cooked with a sauce of tomatoes, cream and ground veal. And the soft-serve vanilla ice cream made using local milk should not be missed. Elegant service and a carefully-thought-out wine list make this a restaurant that should be on your list of must-go places. Since this legendary house opened its doors in October 1757, celebrities ranging from Puccini, Casanova, Balzac, Nietzsche, Maria Callas and Audrey Hepburn have graced its halls. It is also where the Piemontese statesmen Cavour plotted the unification of Italy. 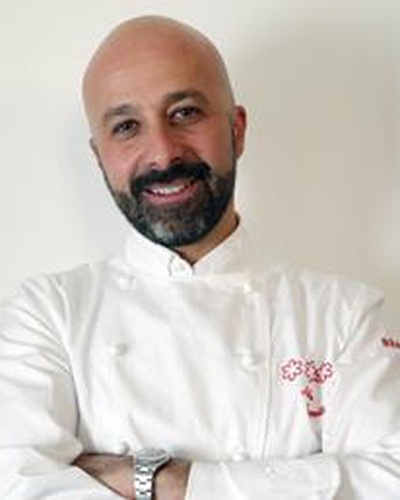 In 2014, the restaurant was taken over by new management, and they hired Matteo Baronetto to update its cuisine. Now one of Europe’s most aristocratic dining rooms, with its velvet walls, beautiful tapestries and glistening mirrors, Del Cambio is a place where you can enjoy updated versions of local classics like vitello tomato, along with modern creations like rabbit kidney in a pink sauce with white mulberry and pumpkin seeds. This “absolutely stunning” restaurant and hotel an hour’s drive outside of Vienna was opened in 1984 by Eveline and Walter Eselböck. 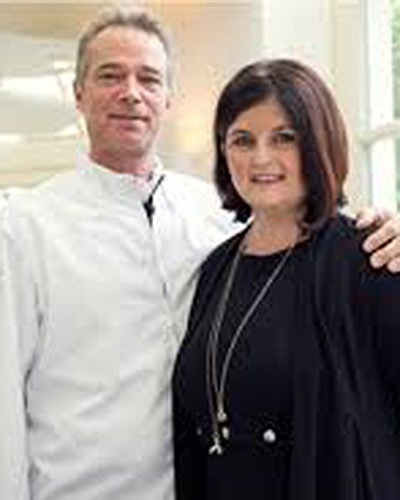 Their daughter Barbara Eselböck is now in charge of the restaurant, running the front of the house, while the kitchen is ably manned by her talented husband, Alain Weissgerber. It always difficult when a classic house tries to update its cuisine, but Weissgerber has risen to the task, offering rustic dishes like local onions with sloeberry and Gewürztraminer, along with others that include a Nordic influence, like veal, ramson and hay. There is an outstanding selection of local wines, and reviewers claim that the multi-course breakfast is almost as wonderful as dinner. This attractive dining room features the cooking of Jacob Holmström, who spent time as the chef de cuisine in Mathias Dahlgren's kitchen, and pastry chef Anton Bjuhr. 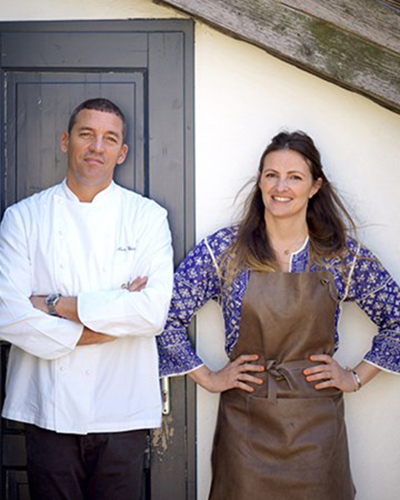 The two do their best to procure some of the highest-quality ingredients in Sweden. This is one of the few fine-dining restaurants where dairy products play an important role in the cuisine. From a kitchen filled with high-quality fish and crustaceans, the Cerea family will serve you some of the best seafood dishes in Italy, like scampi with a broccoli sponge in a zucchini broth, despite the fact that their restaurant is located in a beautiful old farmhouse on the outskirts of Bergamo, more than 200 kilometers from a major body of water. OAD’s Italian reviewers contributed so many positive comments about this restaurant that the last time we visited Milan, we decided to pay it a visit. What we found was some of the most competent and precise cooking in Italy, including enough of a modern flair to make progressive diners happy. 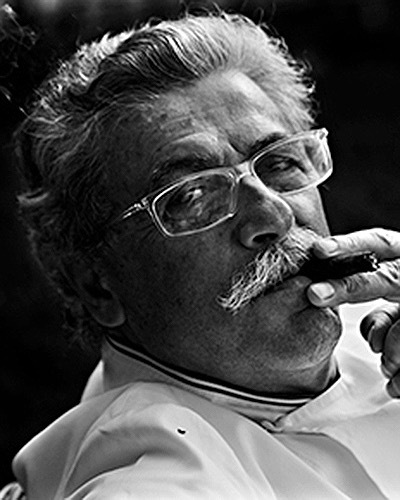 The source of everyone’s collective delight is the cooking of Chef Enrico Bartolini, who for the past ten years has been quietly turning out some of the best food in Lombardy. Do not miss Bartolini’s pastas, which range from a delicate offering of spaghetti with prawns, bread, olives and cherry tomatoes to his signature dish, a spectacular risotto flavored with beetroot and Gorgonzola. 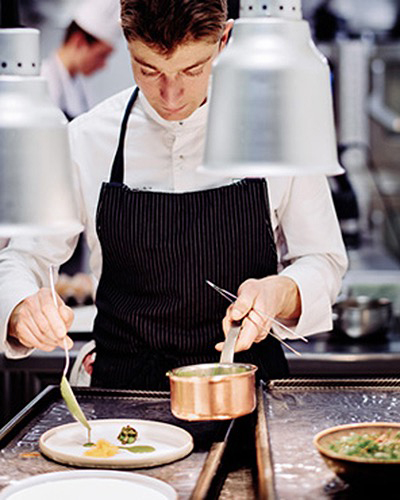 Yet another student of Harald Wohlfahrt's kitchen at Schwarzwaldstube, Kevin Fehling has been at the helm of this restaurant, set in a luxury hotel on a remote location on the Baltic Sea, since 2005. Fehling does his best to use local ingredients in dishes like eel with frozen wasabi dust and a jus of cucumber and Granny Smith. 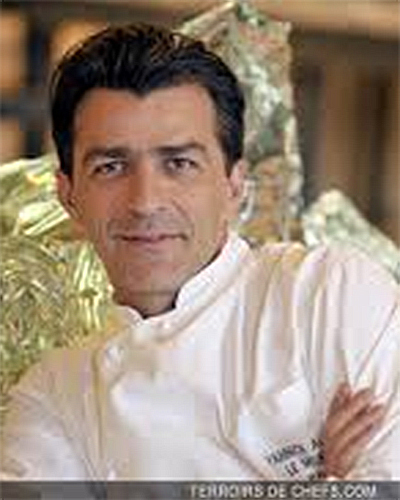 Jean Sulpice is a true product of France’s Savoie region. 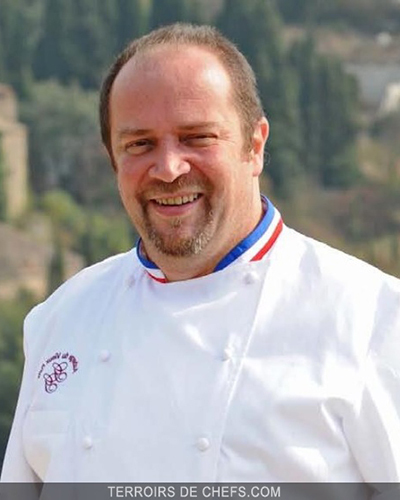 Born in Aix-les-Bains, Sulpice worked in the kitchen at Auberge Lamartine and then for Marc Veyrat, eventually rising to the position of sous-chef at Veyrat’s Ferme de Mon Pere in Megève. Then, at the ripe old age of 22, Jean and his wife, Magali, decided to settle in Val Thorens and open a restaurant that focuses on serving the amazing ingredients found in the region, like féra from Lake Léman with Savoie red wine and onions, and duck smoked with juniper wood and parsnip. 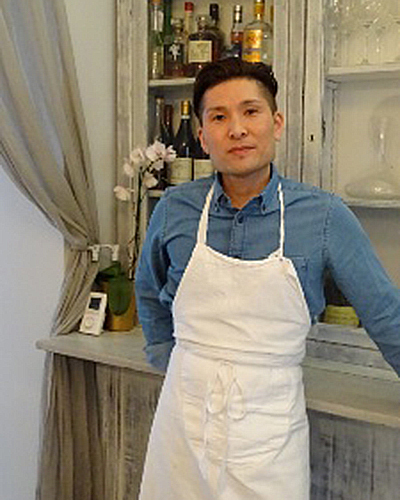 Thirty-five-year-old Atsushi Tanaka is a member of the new generation of Japanese-born chefs who have opened restaurants in Paris. 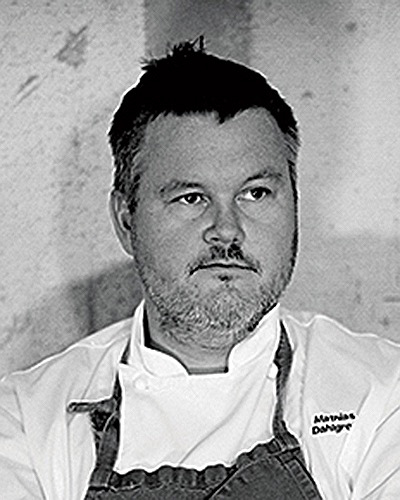 Given a résumé that includes working at restaurants like Quique Dacosta, De Pastorale and Pierre Gagnaire, not to mention staging at almost every important restaurant in Scandinavia, it is not at all surprising that this restaurant has entered our Top 100 list in its first year of existence. We expect to hear a lot from M. Tanaka in the future. 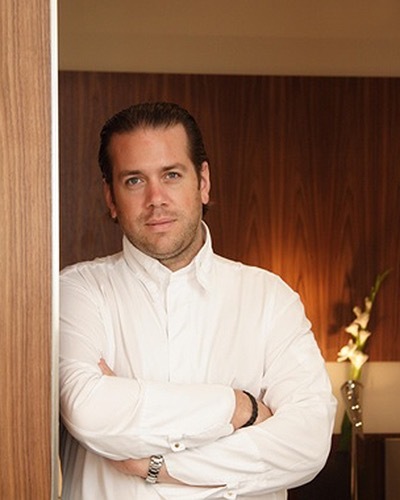 Sergio Herman has built what has to easily be the most unusual restaurant in Europe. Set in a converted church in an area of Antwerp that is being gentrified, it is superb in every detail: everything, from the Piet Boon-designed space to the stained-glass windows designed by the firm Studio Glass, is superb. 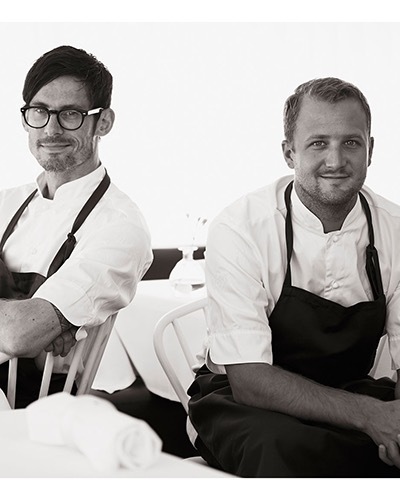 Herman protégé Nick Bril has crafted an interesting version of casual cuisine. First among the reasons to visit Moreno Cedroni's restaurant is the amazing seafood he serves, which he prepares in a multitude of inventive and imaginative ways. The second reason is a dining room that offers a splendid view of that seafood's source, the Adriatic Sea. This year marks a return to the Top 100 list for Cedroni's restaurants after they missed out in 2014. 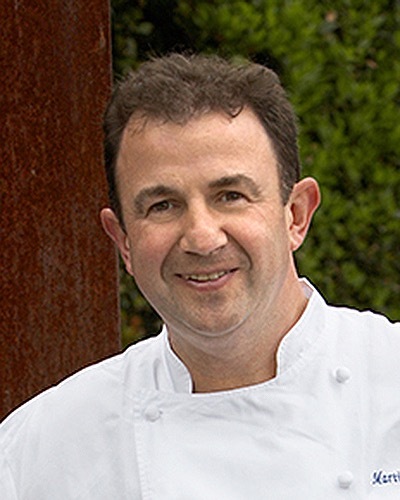 Given comments like "he is cooking some of the best food anywhere in the world at the moment" (like duck sourced from Pierre Duplantier and served in a duck jus flavored with ponzu) and "he has brought fun back into high-level French dining," we are predicting a bright future for Arnaud Lallement. As one might expect, "an amazing list of Champagnes" accompanies the delicious food. 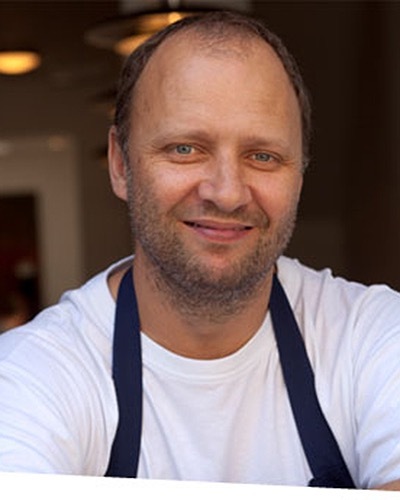 This restaurant, located in the United Kingdom's Lake District, is where Simon Rogan made a name for himself. 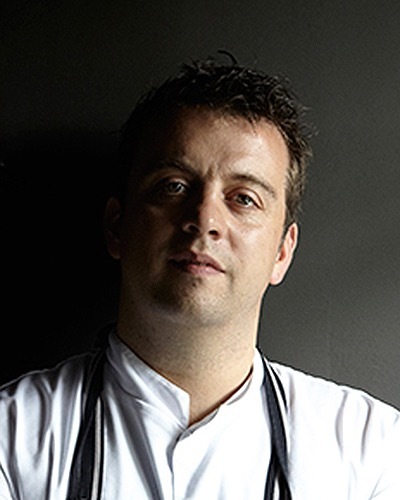 Using ingredients that come from the region as a starting point, he creates dishes like Dublin bay prawn in pig skin, beetroot and sea beet and Dexter beef with tripe braised in an oyster sauce. 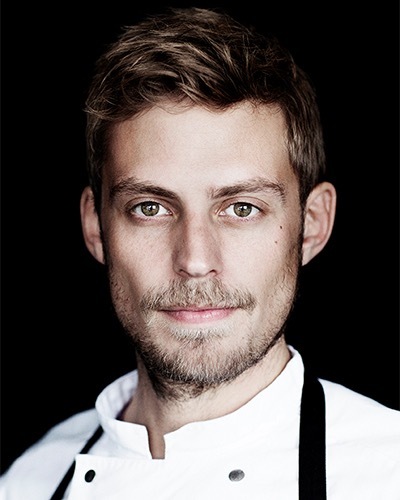 Niklas Ekstedt does an amazing job of combining Etxebarri-style cooking with such a high level of finesse and elegance that you would never guess that there isn't any electricity in the kitchen and everything is cooked over a wood fire. The concept peaked with a dish of bone marrow (still in the bone) that had a slightly smoky flavor from being cooked over wood, topped with vendace roe and peas - a stunning dish that would make Etxebarri's Victor Arguinzoniz proud. British-born Paul Cunningham gave up the big city life and moved from Copenhagen to this idyllic location on the west coast of Denmark. There were raves for everything from the wonderful gardens, to the lovely rooms, to the delicious breakfast that Cunningham serves his guests each morning. The benefit of being located in Zeeland is that Jannis Brevet is able to source his oysters, turbot and lobsters from local waters. To pair with the glorious fish, Brevet offers his guests a cellar stocked with some of the greatest white wines produced in France and Germany. 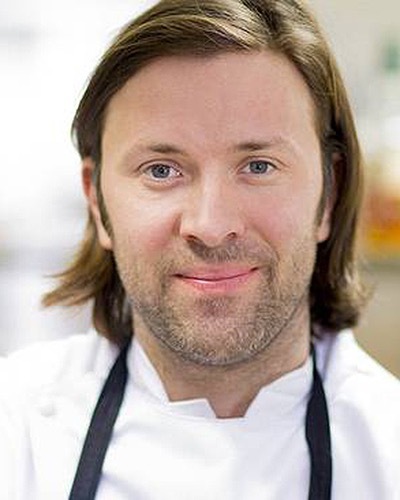 Als René Redzepi model staat voor de vooruitstrevende tak van de "New Nordic cuisine", dan is Mathias Dahlgren een voorbeeld van de klassieke stroming. Zijn restaurant in het Grand Hotel van Stockholm is ook formeler dan de creatieve eetruimtes waar doorgaans moderne Scandinavische gerechten geserveerd worden. Dahlgren werkt seizoensgebonden en serveert gerechten die zowel herkenbaar Scandinavisch zijn (zoals gestoomde koolvis met een emulsie van paddenstoel en zalmkuit) als meer internationaal van stijl. Enige humor is Dahlgren niet vreemd, zoals in zijn gerecht "Wat komt het eerst: de kip of het ei? ": een ei - gekookt op 62° - wordt ondergedompeld in een gereduceerde kippenbouillon en besprenkeld met gebroken crackers van kippenvel, het geheel afgewerkt met fijngesnipperde peterselie en geraspte zwarte truffel. Milan has never been an important destination for the fine-dining community. 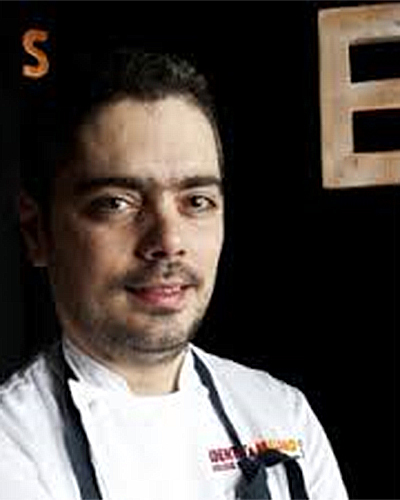 But Antonio Guida is part of a new group of Milanese chefs who are trying to change that. 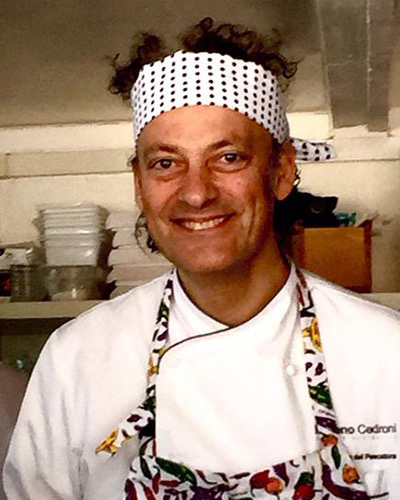 With a résumé that includes stints working for masters such as Pierre Gagnaire, Annie Féolde and Alfonso Iaccarino, Antonio made his name while running the kitchen at the beautiful Il Pellicano in Porto Ercole. 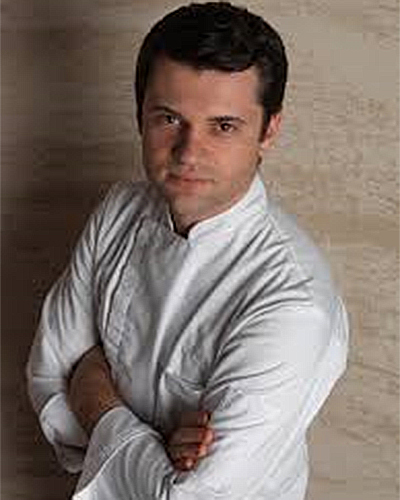 Hired by the Mandarin Oriental chain to be the executive chef at their new hotel in Milan, Guida has attracted raves for dishes like a risotto with squid ink, sage, saffron, turmeric, baby squid and flowers and steamed turbot with oyster cream, ginger-scented pumpkin, caviar and red wine sauce. 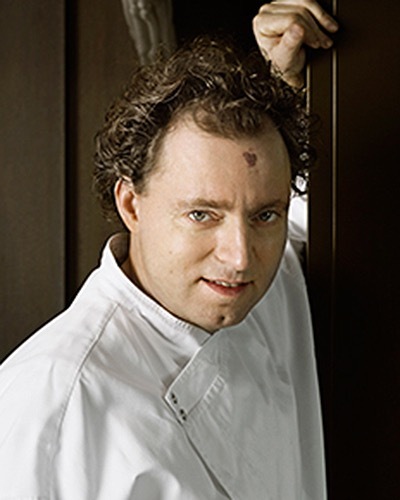 This offering from Albert Adrià and the team that brought you Tickets features Nikkei cuisine, the unusual combination of Japanese and Peruvian cuisine that originated with chefs like Gastón Acurio. While the combination might sound unusual, dishes like squid nigiri with lime and fried causa with chicken and huacatay work well together. 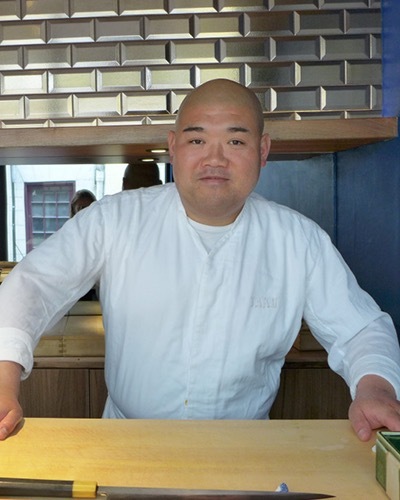 The beautiful bond between Chef Hideki Nishi, his wife, Nirei, and the all-Japanese staff is what makes this wonderful little restaurant in the 15th arrondissement of Paris so special. Chef Hideki possesses many culinary strengths, but most of the reviews we collected mention one of two things: his amazing tourte de gibiers, a super-rich combo of mallard duck, partridge and foie gras that is baked in a luscious pastry, and the way he incorporates various Japanese culinary techniques into his cuisine – like his masterful grilling of both duck and entrecôte de bœuf over binchotan charcoal. Even the desserts are special, and the sweets are so heavenly that you want to ask for more.